Our beloved teacher, the Siri Singh Sahib Yogi Bhajan, taught us many things. One of his favorite topics was DEATH. He taught us how to die consciously. He taught us that there was never a bad death, that it was always a blessing, and a completion of one’s karmas in life. He taught us that death was a celebration of the life lived and of the soul’s continued journey. I believed what he said because his words made sense to me and because of my love and trust in him. But, how does one ever really know about death? We have been the pioneers of this concept of “Siblings of Destiny.” Just as we pioneered all of his teachings, we pioneered his teachings of death as well. He gave us the technology of how to die well, and it has been those of us who have passed that have modelled how it is done. In our Mother Ashram, Hacienda de Guru Ram Das, we have had our share of deaths, souls passing from one realm into another. To honor those who have passed in the last 2 years: In January of 2014 and in February 2015, our beloved sisters Rejinder Kaur (Taos) and Hari Krishan Kaur (Espanola) passed into the arms of Guru Ram Das. In December of 2015, our brother Siri Deva Singh and in January of 2016, our brother Satya Singh both merged with the Infinite Light. And now in February of 2016, most recently, our dear brother Gurubhai Singh passed. Their preparation for death was not necessarily easy and pain free. Many went through tremendous physical pain. They struggled, resisted, negotiated, finished old business, and surrendered as their souls went through a process of purification, getting ready to merge with the One. Through it all they showed limitless courage, strength, humor and holding the Guru’s hand. All of these siblings of ours bravely paved the way for the rest of us on how to die consciously. They have made real our teacher’s divine words. They became our teachers. The Siri Singh Sahib Yogi Bhajan always told us to live for each other. I have been very touched and uplifted with how the Sangat has come through in these times of illness and eventual death – making food for the ill and family, driving to doctor’s appointments, visiting the ill in the hospital and giving healing treatments. One of the most uplifting has been the prayers and chanting done for the ill and the person transitioning. 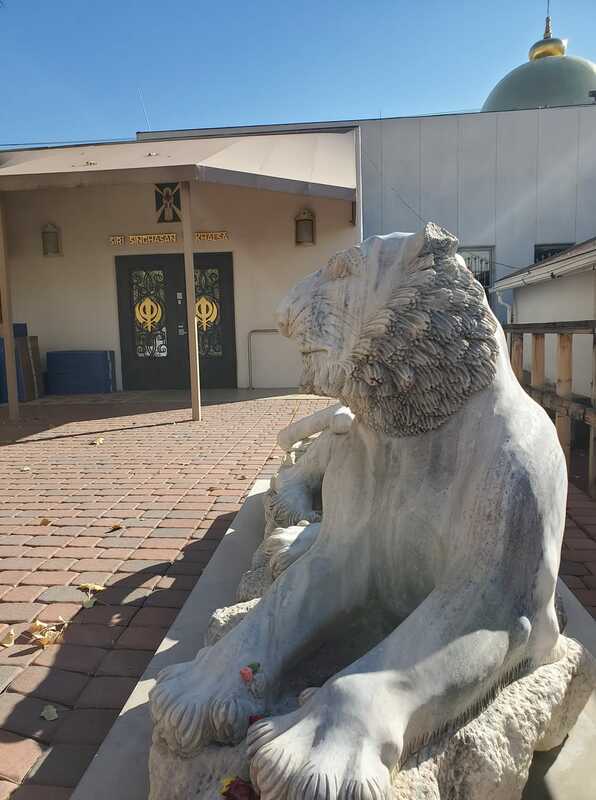 Just last December for Siri Deva Singh and most recently for Gurubhai Singh, the Sangat showed up for 2+ weeks (until they passed) every night at their homes to chant the Dhan Dhan shabd, surrounding our brothers with this Divine Naad and our sibling love to support and propel their souls Home. After the chanting, Sangat members visited with our brothers, remembering their contributions, sharing funny and touching stories. Above all, they shared their love and appreciation for their life well lived. Keeping in mind that the soul is going through this purification process before death, I wanted to know what was Gurubhai’s experience. Last week, at one of our chanting nights with him I asked the following question: When you are resting, do you go in and out of the spirit world? “Yes, I am going in and out of the spirit world. There is a lot of light. I am travelling in and out through the galactic magnetic fields and the interrelationship of the galaxies and all of creation. Sometimes I feel two galaxies are rotating with one another. I have felt Jupiter and Saturn. It feels like swimming. There is no noise but subtle vibrations. Sometimes it has different colors. There are all kinds of beings in those realms. It is like a psychic bombardment, information galore. You can understand by holding two magnets and feeling their attraction for each other. All of life and death are intertwined. Heaven and Earth are one. It is hard to find the words. Many times I am connecting to obsidian, which is a portal used in Aztec rituals for life and death. I grew up near Piramide de Tlatelolco. Aztec is in my soul. I am an integrator of many cultures merged with Kundalini Yoga and the knowledge of the Siri Singh Sahib. We know that we will feel Gurubhai’s healing touch from the Ethers. There have been many selfless caregivers of our pioneers of death mentioned above. To conclude this article, I am going to honor one of them – Har Nal Kaur Khalsa, Gurubhai Singh’s wife. For years, Har Nal Kaur was professionally a nurse, and for many of them, was a Hospice Nurse. When she was much younger, she nursed her husband Ragurai Singh, who also had cancer. No woman should have to watch 2 husbands die, but Har Nal nursed both of her husbands with absolute love and grace. She tirelessly cared for Gurubhai Singh through a long ordeal of numerous surgeries and recoveries, making endless phone calls to doctors, healers, insurance companies, lawyers and friends, making sure that Gurubhai got what he needed. Marriage is never easy, but Har Nal and Gurubhai kept up and worked through it all. They made it. Not only did Har Nal care for Guruchai Singh, she beautifully ran our Akand Path at the Ashram and took care of herself, knowing that she had to stay strong and healthy for the long haul. She truly modelled to us what a loving wife and caregiver is. I only pray I can live up to her example. I am going to end this article with a quote from The Siri Singh Sahib. In one of his lectures at Ladies Camp about marriage, he said what I think is especially appropriate for this topic.